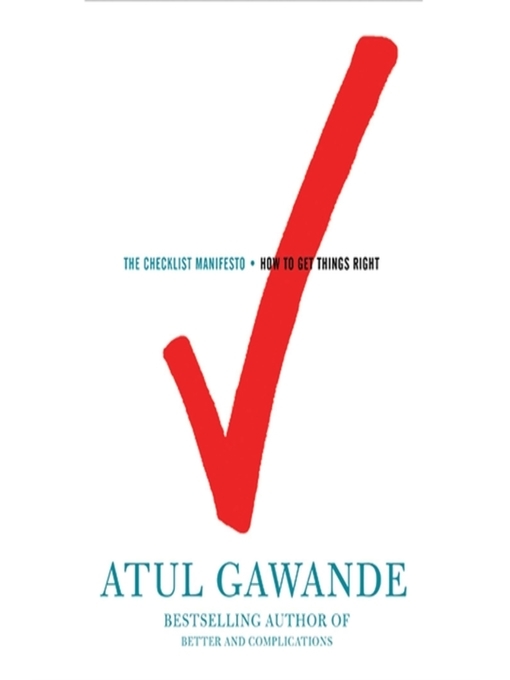 The checklist manifesto [electronic resource] : how to get things right / Atul Gawande. Contributor(s): Lloyd, John Bedford | Macmillan Audio (Firm). Requires OverDrive Media Console (WMA file size: 88402 KB; MP3 file size: 173022 KB). Read by John Bedford Lloyd.